At the start of the campaign Camloc had no search presence on Google.co.uk or Google.com and our goal was to give them a search presence. Also giving them some brand awareness. The way we wanted to achieve these results was by focusing on specific areas at a time instead of working on all areas of the website all at once. 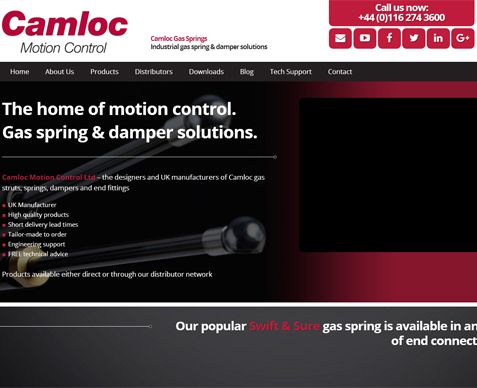 With an active blog and social media campaign supporting the SEO work we was able to build a brand online for Camloc in which they never had before.